Handcleaner paste wood flour. 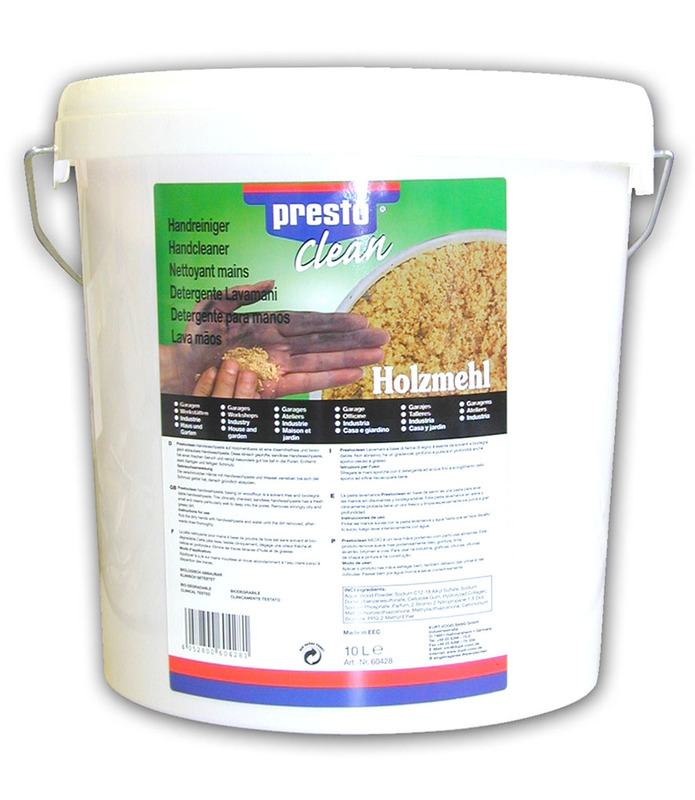 Presto Handcleaner paste with woodflour is a soap-free hand cleaner to remove medium to heavy soilings from mainly water-unsoluble substances on the basis of oil, fat or pigments. For use in workshops, printer shops, chassis manufacturing, paine processing industry, construction and other industries. Gentle on the skin, natural abrasive agentl. Ph-neutral, therefore gentle on the skin. Composition: anionic tensides, complexing agents, softwood flour, filling agents, skinprotecting panol (protein hydrolyzate), antidegradants, fragrances. Storage stability: 30 months in the original, unopened container, proper storage conditions provided (=10°-25°C, relative air humidity max. 60%).